View of Hephaisteion of Athens in 2008 Photo Credit: Guillaume Piolle / Wikimedia Commons. An interdisciplinary research project with a team of experts in civil and chemical engineering, architecture, geology and archaeology aims at evaluating seismic behaviour of Greek monuments. The Thales–NTUA SEISMO project is carried out by the National and Technical University of Athens (NTUA), Greece, and is coordinated by Constantinos Spirakos, a professor in the University’s department of Civil Engineering and a Director of the Laboratory of Earthquake. Advanced computational tools and methods will be utilised to meet the needs of the proposed research taking into consideration various factors such as the materials used in each monument or regional seismicity and soil conditions. 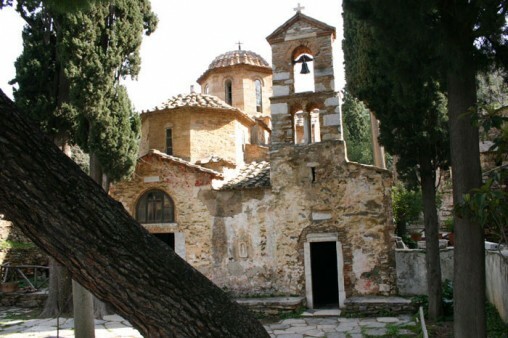 In a recent study the team have highlighted the need to protect monuments and historical construction in Greece from earthquakes. 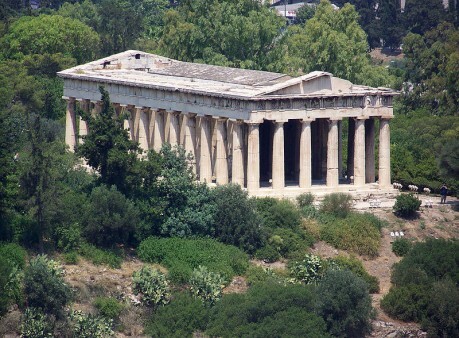 Related studies on two highly representative monuments in Athens, the Temple of Hephaestus–Thissio (5th c. BC) and the Monastery of Kaisariani (11th-12th cent. AC) include the installation of a monitoring system recording seismic tremors, with the use of six instruments. The Laboratory of Earthquake Engineering of NTUA will conduct experiments on monument simulations to evaluate their reaction to possible future earthquakes and propose ways for them to be better protected through proper intervention. Spirakos stressed that many ancient monuments have proved to have sufficient durability against earthquakes, the Acropolis being a good example. Ancient Greeks have used architectural rules that are still applied today, with vertebrate columns on many ancient monuments seeming to be having an excellent behaviour in earthquakes. But that, according to Spirakos does not mean it will continue in this way in the future or that a stronger earthquake than those experienced so far will not damage them. The project aims to carry out tests that will constitute a point of reference in the international literature and analyse case-study historic structures. Moreover, methodologies established for the study of monuments and historic structures, will be assessed in terms of their reliability, accuracy and effectiveness by comparing analysis results with experimental data.